How do you protect your lone workers? MyTAG Lone Worker helps you ensure the safety of your employees when they are working alone. Employees are issued with individual NFC tags that record and monitor their movements through the MyTAG 24/7 system. Through personal devices such as mobile phones, tablets or laptops, individuals can preset their whereabouts and plans at any time, day or night. The lone worker safety is important to an organization, MyTAG offers the lone worker app that allows employees to record and report their whereabouts at any time and automatically escalate it through the organization. Employees making a lone visit are able to use the intuitive system to set a return time and should they not return as planned, the system will automatically trigger an agreed escalation alert process. This ultimately notifies the police, providing an external safety net. 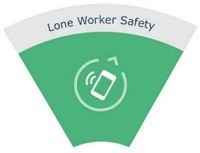 The lone worker app allows fast follow-up of late returning employees, supporting their safety and wellbeing, as well as saving company time. It also provides oversight of employees working in the field at weekends, bank holidays or during the night. The easy to use, cloud-based system is simple to install, with no requirement to integrate into existing IT systems, allowing you to be up and running quickly. Issue secure tags for your lone workers and you are all set up to provide support to your employees. Provide peace of mind and lone worker safety with MyTAG lone worker solution.